The loss of the Loganair routes from Dundee Airport to Birmingham and George Best Airport Belfast is a real blow. I wrote to the City Council’s Head of Economic Development about the matter and called for every effort to be made to attract additional flight destinations. 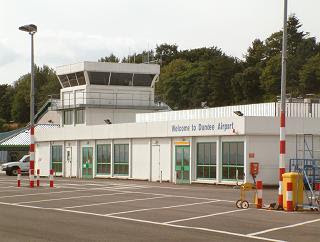 “The Scottish Government announced recently that they would be commissioning a study into future options for Dundee Airport and the development of services. They have included us in that study. The work is out for procurement just now and the current expectation is that it will report in the new year. The study is, in itself, positive as it is vitally important that the city has good links, particularly to ‘hub’ airports and I hope we will see progress towards other destinations well in advance of the V&A at Dundee opening. 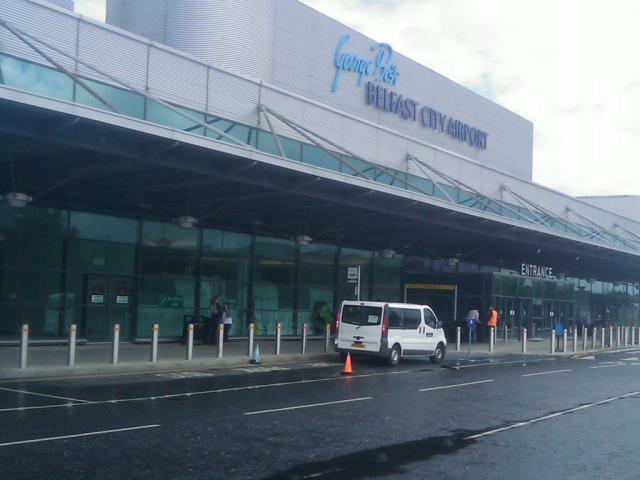 I’ve been in Belfast the last couple of days with the ‘day job’ – the photo (right) was taken at the George Best City Airport this afternoon. A really enjoyable visit and coming after the Institute I work for having its International Conference earlier this week in Dublin. So, with a dodgy link, it seems appropriate to highlight the fact that it is Eurovision 2011 tomorrow with a revisit to one of the best-ever Eurovision winners – Niamh Kavanagh of Ireland, back in 1993! A very busy few days – with the Liberal Democrats campaigning across the West End and the Dundee West constituency as a whole. 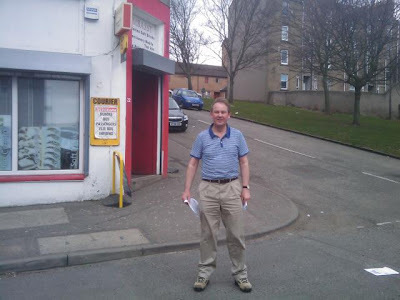 Pictured above is John Barnett, Dundee West Liberal Democrat candidate, in Cleghorn Street yesterday. I missed much of Sunday’s campaigning as I have been in Belfast with the “day job” (photo below!) and returned just in time to attend my afternoon surgeries at the Mitchell Street Centre and Harris Academy, followed by City Council meetings tonight. At tonight’s Council’s committees, I raised questions about the Bike Boost initiative as part of the Dundee Travel Active project, the review of ‘out of hours’ social work service, and welcomed the decision to give the job brokerage services contract to the Dundee Employment and Aftercare Project (DEAP). 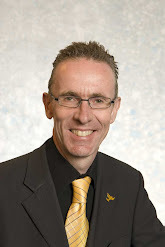 The handling of this matter by the Dundee Partnership and the SNP council administration has been unimpressive, the tendering process wasteful and unnecessary and – in terms of the future – I made the point that now is the time for all councillors in the city to get behind DEAP and the excellent work it does to secure job opportunities for Dundee people. I also raised my concern at the expenditure of nearly £80 000 to change the car parking and access at the East District Housing Office – an office barely three years old. Why is the council spending such a large sum of rent-payers’ money changing parking arrangements so soon after the project was completed? The SNP Housing Convener appeared disinterested in the matter and I have written to the Chief Executive of the City Council asking further questions about the concern. 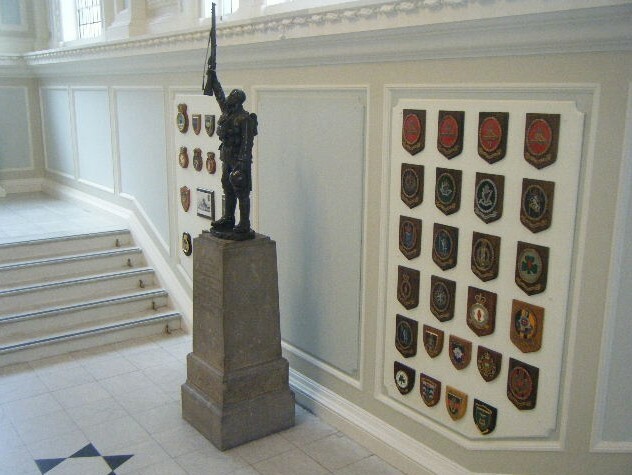 City Council tenants are entitled to know that their rent monies are being properly spent. 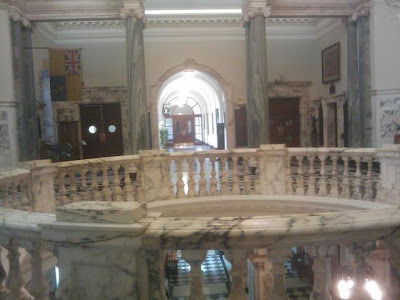 I’ve been in Belfast with the day job since Thursday – got back earlier today – so catching up on the English County Council Election results. The LibDem County Council results in England – the disappointing south-west apart – showed good, solid progress. In the BBC projected vote share, we are 5% ahead of Labour – 28% to 23%, with the Conservatives on 38%. We are up 3% on last year, Labour down 1% and the Conservatives down 6%. It is our best share of the vote this Parliament and although there is no denying the Tories had a good day – in actual votes, they were well short of their 40% target and the ‘inevitability’ of a Tory General Election win is no way a foregone conclusion. The superb result in Bristol, where we won 15 of the 23 seats up for election – and took control of the Council for the first time – showed the LibDems are the main players against Labour in most of the cities across the UK (and I mean UK – Aberdeen, Cardiff, Edinburgh – not just in England). The media spin is of a Conservative clean-sweep, but that is inaccurate. In many of our key parliamentary battlegrounds across southern England we have done well, holding our own and making small gains against the Conservatives. We made net gains from the Conservatives in, among other places, Essex, Hertfordshire, Surrey, Cumbria, East Sussex, Dorset, the Isle of Wight, Warwickshire and West Sussex. In the north of England, the LibDems are clearly the challengers in much of Labour’s traditional heartland, with particularly spectacular gains in Burnley and Ashfield and – with net gains in Staffordshire, Nottinghamshire and Leicestershire – the party is gaining right across the Midlands. 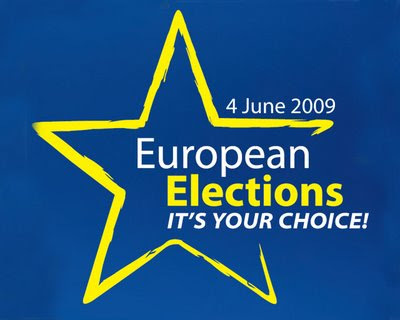 So – off to the European Election count at the Caird Hall tomorrow night! 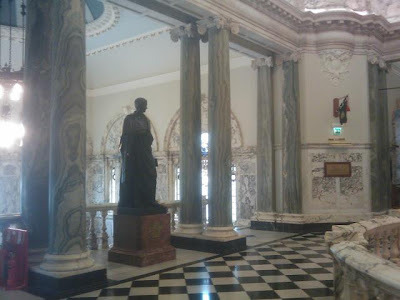 Footnote – given the ‘invisible’ European Election in Scotland (and England and Wales), it was rather heartening to drive through Belfast on Thursday and see election posters everywhere. A very different election in many ways, with the key question being – will Sinn Fein top the poll for the first time? Interestingly, I note the Official Unionists are standing as “Conservative and Unionist” and their posters use Cameron’s “Vote for change” slogan and logo. Perhaps not the best year for them to link up with the Tories, with the Unionist vote split between the DUP, UUP with added fake Dave, and Jim Allister MEP’s Traditional Unionist Voice, who I suspect will give the two main unionist parties a run for their money. A thoroughly enjoyable time (as usual!) 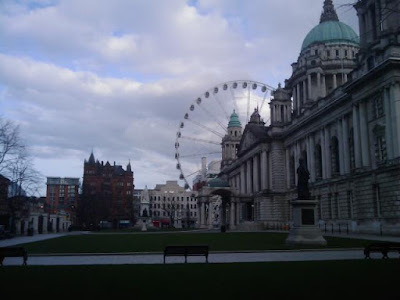 in Belfast, with glorious weather. 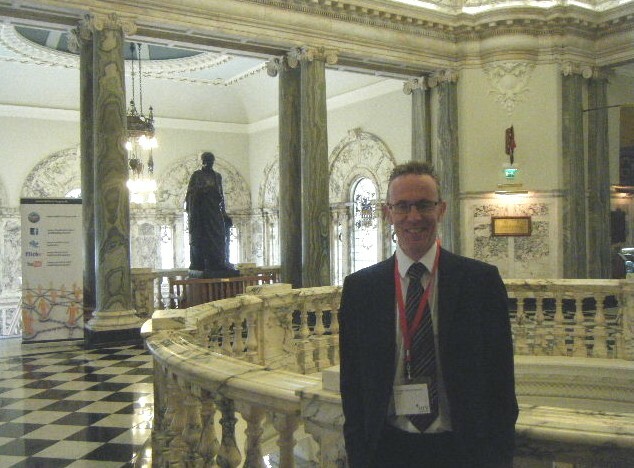 I’ve spent the last four days in Belfast with my “day job” although have been in constant touch on local matters by phone and e-mail! 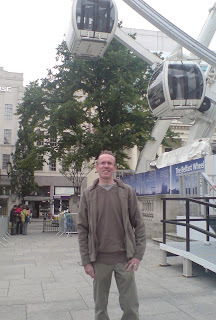 My colleagues and I had an enjoyable time on the Belfast Wheel – see photo below and video above!